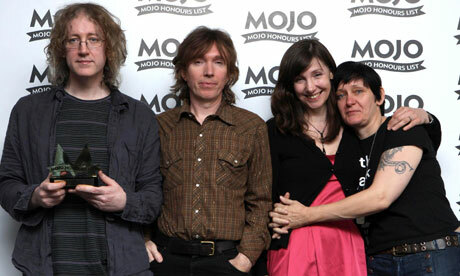 It is news that fans thought they might never hear: My Bloody Valentine are to release a new album. Shortly after 9pm on Saturday the band posted a message on their Facebook page saying: "We are preparing to go live with the new album/website this evening. We will make an announcement as soon as it's up." It will be the band's first release since the critically hailed Loveless in 1991 and ends one of the longest-running sagas in rock. 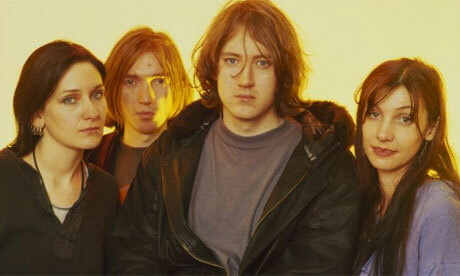 The band's leader Kevin Shields would appear to have been recording the new album off-and-on for the best part of the past two decades, but few concrete details have ever emerged. Nonetheless, signs that the album was finally imminent were there: in mid-December 2012, the band's Facebook page was updated with the message: "We finished mastering the new album! "; and on Sunday this week Shields teased fans at a London gig, saying the record might appear "in two or three days". At the same show at the Electric in Brixton, the band opened their set with a new song, which the setlist referred to simply as Rough Song. The surprise arrival of the album echoes the release of David Bowie's new single Where Are We Now? earlier this month, with both records appearing without any formal record company warning. My Bloody Valentine, circa 1992. Formed in Dublin in 1983, My Bloody Valentine became one of the most feted bands of their generation, releasing two albums: Isn't Anything in 1989 and Loveless in 1991. Brian Eno said that their single Soon "set a new standard for pop", describing it as "the vaguest music ever to have been a hit". The recording of Loveless was rumoured to have cost £250,000 and to have nearly bankrupted Creation Records – claims that Shields has denied. The making of its follow-up proved even more fraught. After parting with Creation and signing to Island Records, Shields, in his own words, went "crazy". He later said: "An album's worth of half-finished stuff ... did just get dumped. It was dead. It hadn't got that spirit, that life in it." The band did contribute a cover of James Bond theme song We Have All the Time in the World to a charity compilation and a cover of a Wire song to a tribute album. But the group splintered, only reforming in 2008 for their first live shows in 15 years. Five years later, there is now also a new album. "I think with this [new] record, people who like us will immediately connect with something," Shields told the NME in November last year. "Some people think it's stranger than Loveless. I don't." A physical version appears likely to be made available. A vinyl edition is reportedly "ready to go", and Shields has previously discussed the importance of having a physical artefact. "It's going to come out on vinyl, with the CD as a secondary thing in the vinyl," he said last year. "You could just put it on a website or something, but when something seems to have a soul it's nice to give it a soul, which is to put it in a physical format." The band will also tour the UK in March.